There are a plethora of changes that happen to the body throughout pregnancy, and alongside those changes come persistent and frequent aches and pains. And, despite all those aches and pains that pretty much every pregnant woman experiences, pain relief isn’t quite as easy as taking a couple of painkillers and the discomfort going away. This is where chiropractic treatments can provide a wealth of benefits. Chiropractic is the art and science of treating injuries by ensuring the spine, related nerves, and joints are in proper alignment. Chiropractic care can be beneficial to anyone of any age, but it is especially impactful for pregnant women. The body goes through a great many changes and adjustments throughout pregnancy. It can cause bones to shift, joints to shift out of alignment, and increase pressure on spinal nerves. All of this adds up to create those feelings of discomfort and pain that so many pregnant women experience. Chiropractic adjustments are a wonderful solution to your pregnancy discomfort because it is non-invasive, doesn’t involve medicine, and is designed to get to the root cause of your pain and start the healing from there. This can help provide more lasting pain relief, rather than temporary assuaging of symptoms. Chiropractic adjustments are safe throughout pregnancy—in fact, chiropractic care is probably safer than most, if not all, pain relieving methods available to pregnant women. According to the American Pregnancy Association, there are no contraindications to receiving chiropractic care throughout your pregnancy. 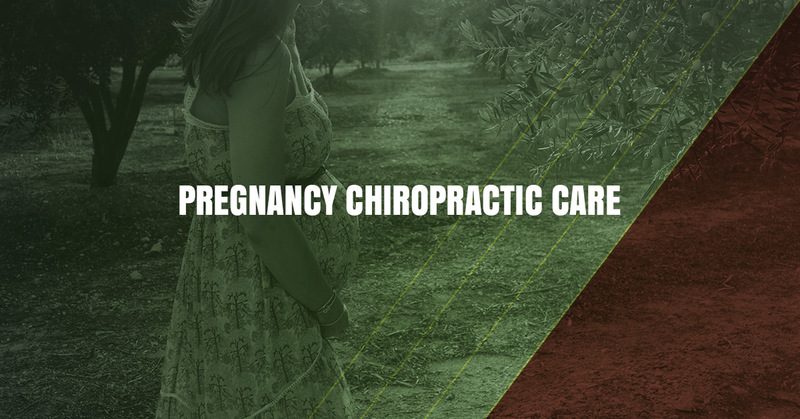 Chiropractors are trained specifically on providing adjustments for the changes that occur throughout the body during pregnancy, so we can provide safe pain relief. Regular alignments can also work to keep your spine, nerves, and joints in the right position to keep future pain at bay. Pregnancy chiropractic care isn’t just about soothing those pinched nerves and back aches. Yes, that is a big part of it, and an important aspect, but chiropractic adjustments can also help prepare your body for labor. For example, if the pelvis gets out of balance at any point during pregnancy, it will not only cause discomfort, but it can actually inhibit your baby’s development and make labor more difficult. Regular chiropractic adjustments throughout your pregnancy help keep your bones and joints where they should be and can help make labor go more quickly and progress with less pain. You can talk to your primary care provider to learn more, or take your questions to the trained experts. Give the Revelation Chiropractic team a call to learn more about how our chiropractic treatments can help you throughout your pregnancy and after delivery. In addition to regular adjustments, prenatal massages can provide even more benefits toward keeping your discomfort low and reducing muscle tension throughout your pregnancy. Prenatal massage techniques can work separately from or in conjunction with chiropractic adjustments to help you throughout your pregnancy. And, similarly to chiropractic adjustments, this technique provides more than just pain relief. The primary focus of a prenatal massage is to ease cramping and muscle aches. In addition to that, regular prenatal massages can help your skin’s ability to stretch and remain supple. Prenatal massages, like any other massage, work to improve blood flow and circulation; during pregnancy, this is particularly important because it can reduce swelling. All in all, our goal at Revelation Chiropractic is to help you enjoy a happy, healthy pregnancy as much as is in our power to do so. Start with an assessment to see how your body has been changing and how the combination of chiropractic adjustments and prenatal massage can work together to reduce and alleviate many of the discomforts of pregnancy. Have questions? We’re happy to help. Give us a call or stop by our Fort Collins office to learn more!